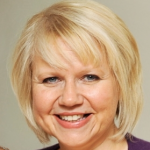 Mandy Parry has been Freelance Training since June 2008. She is an extremely experienced, confident and engaging Child Protection and Safeguarding trainer, offering high quality Child Protection and Safeguarding training to the children’s workforce. Her mission within Mandy Parry Training is to continue to produce of range of training that will ensure that children are supported to reach their full potential. To ensure this happens, our training is driven by a clear and defined list of values to ensure it is high quality, relevant and truly effective. Mandy Parry Training works with a range of organisations and Associate Trainers to ensure that our training can also be highly flexible and responsive to the needs of clients in the South West. Mandy has a degree in Dramatics Arts from Leeds University, a post graduate teaching certificate in Social Studies at the Institute of Education in London, and a MSc diploma in Women’s Studies at Bristol University. Her previous academic background has meant that her training is always well researched and evidence based. Mandy worked in London for many years as an actress and political campaigner for women’s rights organisations. She moved to Bristol to work as a teacher in a challenging comprehensive school. Mandy left teaching to work for a number of training organisations, including a private NLP training company, and then later the Prince’s Trust Volunteers. The latter involved leading teams of mainly disaffected young people in outdoor pursuits and community projects and gave her a keen interest in teambuilding. Mandy excels at making controversial information accessible and clear to a variety of audiences. Mandy began working for Bristol City Council in April 2001, when she was appointed as training manager for the newly established Knowle West Sure Start. This involved the recruitment, induction and training of the entire staff team in Child Protection. She gained considerable experience of child protection case work in a disadvantaged community, as well as group facilitation, partnership working and participative working with service users. Mandy’s training is embedded in her practical work with children and families. Mandy has worked as a Trainer for the Social Care Training Department Children and Young People’s Services within Bristol City Council, with special responsibility for developing and delivering training in Child Protection, Equalities, Total Respect, the Common Assessment Framework and skills for managers. Most recently, Mandy worked as the Training Coordinator for the multi-agency sexual health training programme, based within the Sexual Health Team at the National Health Service, Bristol Public Health Department. This role gave her further experience of Child Protection with regard to sexual health. Mandy’s training benefits from an extensive knowledge of Child Protection and Safeguarding practices in a variety of different agencies and age groups. Mandy believes that training is not just be a vehicle to learn new skills and gain new knowledge from the trainer; it should also be a valuable opportunity to meet and build relationships with other practitioners, sharing good practice and supporting each other through the inevitable challenges we face in our work.